There is little that Robert Masullo can do wrong. His eponymous restaurant turns out some of the most delectable pizzas, pastas, salads, and desserts in the greater 916. His lone pizza oven is the engine that drives the kitchen. And I’m a big believer that creativity comes from limitations and restrictions much more than from limitless resources. Think Steven Wright and Mitch Helberg and their stedfast refusal to tell much more than a 10 second one-liner. Think of Picasso in his blue period. Think of that guy from work whose diet consists, apparently, of nothing more than leftover fish that he insists on warming in the microwave. Creativity blooms when resources are slim. So when you, as a chef, are forced to prepare your bivalves in a 3 million degree oven, this is what you come up with. A gorgeous bowl of mussels in an all too moppable, luscious sitting sauce that permeates the shells and is a perfect trough of goodness through which to run your rosemary bread. I ate the whole bowl before I remembered to snap a pic. Trust me, they serve a whole bowl. 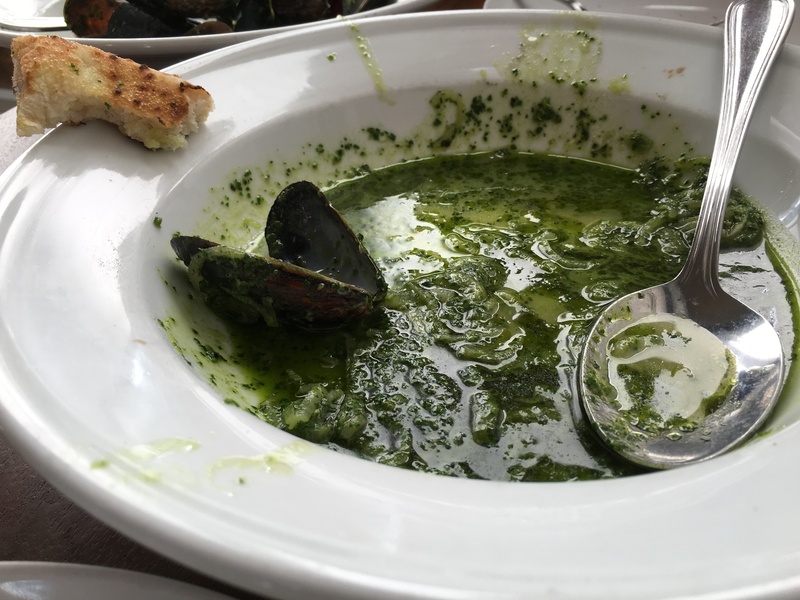 I live around the corner from Masullo, I eat their pretty regularly, and we love mussels. Never heard about the mussel dish but will definitely go check it out. Sacrag has sunk to such lows.